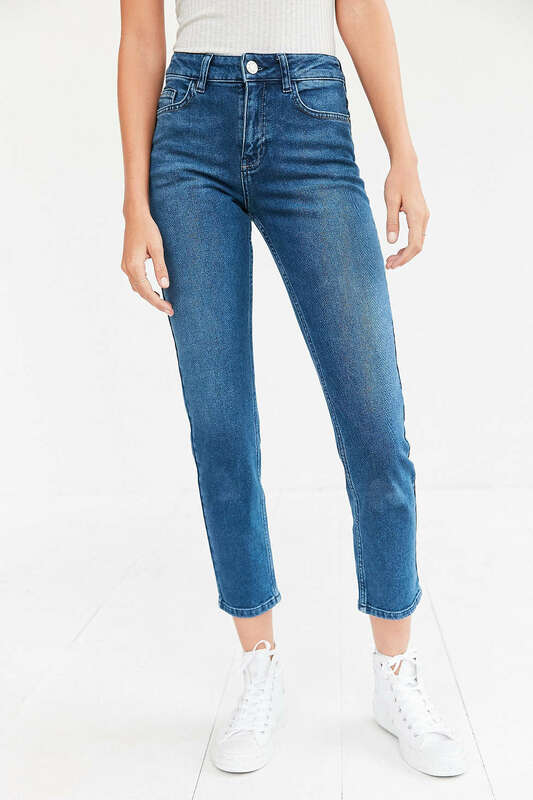 I genuinely have been looking for the right pair of jeans for what seems like absolute ages. I have a cropped pair from LOFT that I've been wearing incessantly with absolutely everything, while a stack of unused, ill-fitting pairs sits on the top shelf in my closet. That LOFT model has sadly been discontinued, which is unfortunate because they're skinny and cropped and slightly high-waisted. They're stretchy which is unfortunate, because I have to wash them when the shape is too stretched out from use and they're nearing the end of their life cycle. The importance of actual cotton denim! I am indeed, convinced that good denim is something worth investing in. Jeans are a staple in probably most young people's wardrobe, and the way you feel when you put them on really makes a difference. It's not just about comfort but about fit and durability too, I'd personally like my jeans to last for years and years. The oldest item of denim currently in my closet is a pair of shorts that I made from some hand-me-down Tommy Hilfiger jeans about 3 years ago. They're my favorite thing! So I'm essentially looking for that same feeling in this new, non-existent-as-of-yet, pair of jeans. Are you following? Anyway, a lot of my search has gone down online because it's most convenient and ultimately the least time consuming. However, I think eventually I'll realize that trying on the jeans is the best way to go. It can be difficult to discern the real color and fit from online photos, the fit of your jeans is such a personal and individual thing. Until I have time for an extended physical search, here are my finds so far online! I began my search at LOFT while looking for another pair like the one I mentioned above. I figured, if I can't find the perfect, non-stretchy jean, I might go with the same pair in a smaller size. Alas, they no longer make them, but I found this pair which I might go out of my way to try on in person. LOFT also has sales quite frequently so it might be worth it to wait. I've heard good things about the Jamie jeans from Topshop. They're a bit stretchy so not exactly what I've been looking for but I think they look quite good anyway. The fit looks flattering and the colors are right up my alley. I tried this pair on in a lighter shade actually. I didn't like the lighter shade, but this one is bit darker. I also wasn't 100% convinced about the fit around the ankles but I think that depends on the shoes you wear. The fit overall was great though, not too stretchy at all. The high waist is flattering, and the fit around the bum is quite good as well. No bagginess in sight. I'd say they'd look better with scrappy sandals, heeled mules, or Mary Janes. 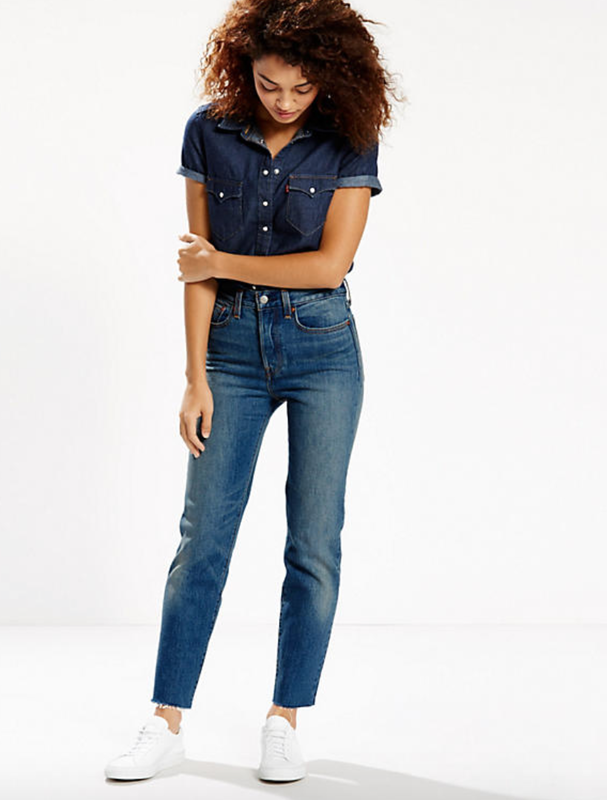 Finally I thought I'd look through the Levi's site as they're the classics obviously. If you're looking for 100% cotton (the best for durability) they're probably your best bet. I wear a lot of flat shoes so the wide ankles on this pair might be an issue but again, trying them on is probably the only way to decide for sure. To be fair, I'm sure there a many great pairs of jeans (in terms of durability and modern fit) out there to be found amongst the likes of AG Jeans or J Brand. However, I'm not down to spend $200 on a pair of jeans. When I said investment I really only meant not buying $30 pairs at H&M anymore and investing in a pair that'll last season after season. Less than $100 is still ideal though. I'm a college student, not a fashion editor. At the end of the day, I'll likely end up waiting until I find a good pair of vintage 501's in my size. The holy grail of jeans! I re-emphasize the importance of the material they're made out of. The less "other" materials in the denim apart from cotton, the better. 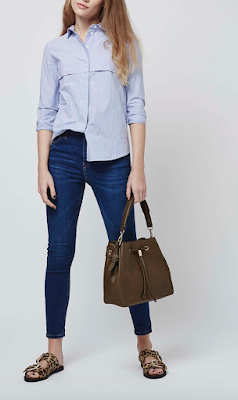 Those are the jeans that look and feel even better with every use and last ages and ages. I think that's the reason I love those cut-off shorts so much! So that's what I'm up to on the clothing front.